The derivatives clearing framework and subsequent regulations policing these practices in the US, Japan and the EU are poised to proceed smoothly in 2015 – however, the implementation of frontloading obligations has been particularly complex. Frontloading requirements are unique to Europe, requiring certain trades conducted before the clearing obligation comes into effect to be subsequently cleared. 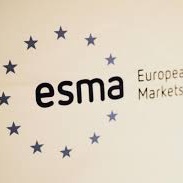 The paramount body of European clearing compliance is the European Securities and Markets Authority (ESMA). With the passage of European Market Infrastructure Regulation (EMIR) last year, market participants and firms are now equipped with the tools and legislation needed to properly report and clear their trades. However, the issue of frontloading has repeatedly been a problem since the rules were first initiated. As a result, the International Swaps & Derivatives Association (ISDA) has embarked on an initiative to help address these issues and eliminate any uncertainties or discrepancies with the hopes of introducing the first comprehensive clearing mandate for interest rate swaps in Europe. The initial endorsement for these changes was submitted by ESMA on October 1, 2014. The most recent version of policy mandates includes key provisions for the augmentation of four categories of derivatives and a new threshold calculation to determine whether frontloading requirements were necessitated. In addition to frontloading, cross-border intragroup trades were also a point of contention, namely between European institutions and a counterparty from the same corporate group, based in a third country. Despite an exemption under EMIR and the potential for frontloading, these trades will receive an exception of up to three years.